With over 25 years industry experience A1 Paving delivers a professional and reliable service, specialising in the design and construction of paths, patios, driveways and natural stone. With a broad selection of clients throughout Cheshire and surrounding areas A1 Paving has fast become a well established and first choice company. This will be a brief chat to discuss your requirements. Our dedicated established designer/project manager will advise you on aspects of the project providing inspiration if you are not sure what you would like. This is where our expertise comes in. We can provide a full design service from scaled line drawings to a full CAD drawing. It really helps to see your vision. You can rest assured that our service is reliable and demonstrates the highest standard in craftsmanship. Being an award winning design and installation expert means you will only get the best. Feel free to contact Adrian directly on 07977 416 896. We are an established garden design and landscape service (established 30 years) We cover both contemporary and traditional garden design...throughout the UK and Europe. We are passionate about plants and about getting your garden right for you....the emphasis is always on D E S I G N ! LazyLawn Sandbach offer their services throughout the CW, SY, ST and TF postcode areas. They provide high quality artificial grass and superb customer service to all of their customers. Artificial grass can be used for any area including, putting greens, roof gardens and play areas, you can even choose a range of colours. Landscape Architecture, Garden Design and Planting Design. Oasis Landscapes and Construction is part of Delta K Consulting Ltd. Many years experience of landscape construction coupled with an eclectic and diverse design ethic provides unique solutions to clients needs. Bespoke Garden Design consultancy based in Knutsford, Cheshire. Kate Paterson Garden Design has been creating beautiful gardens throughout the North West for over a decade. From a basic planting plan - to full in-house design and build, from a tiny front garden to large historic estates. Whether your style is contemporary or traditional or a little bit of both - we work closely with you to create a garden that is unique, considered and enhances your home. With over 20 years experience, I'm a Garden Designer, horticulturist, teacher and artist. 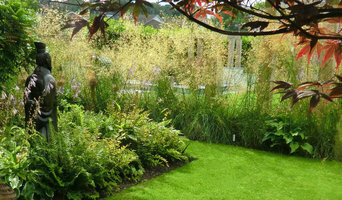 I have designed gardens across the North of England, and have won many Gold Awards for show gardens. 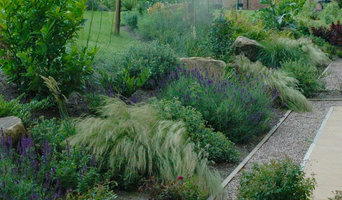 I teach at Craven College Skipton, and can also provide professional courses in all aspects of Garden Design. 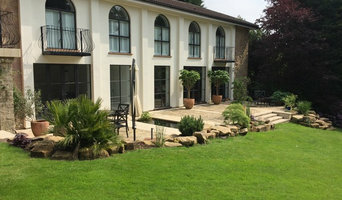 4D Garden Design & Construction Ltd is a friendly, family-run company based near Bolton. We provide professional garden design and construction services in Manchester and across the North West. 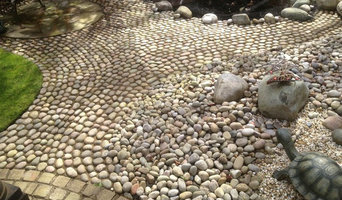 We have a wealth of experience providing bespoke hard and soft landscaping services. Over the years, we have completed numerous garden transformation projects and we are well-placed to provide you with a quality service. I am a garden designer who loves to create beautiful places for my clients. My service is highly flexible, offering the complete design service; from initial concept designs through to the building of the garden, or simply a planting plan for an inspirational border. Garden styles: English country garden; cottage garden; modern, contemporary, wildlife. At Green Acorn Landscape Design Warrington offer a full range of professional Landscaping, Garden Design, Driveway, Landscape Design and Construction services. With over 15 year’s experience, Green Acorn Landscape Design Warrington can design and build your ideal landscape garden that you will be proud of. Green Acorn Landscape Design Warrington guarantees their work to last – no corners will be cut in shaping your dream garden. Green Acorn Landscape Design Warrington pride ourselves on the quality of our work and attention to detail – just check out some of our recent projects or give us a call to see what we can do for you. Janine Crimmins is an established garden designer and has been creating beautiful gardens throughout the North West since 2001. Janine has 4 RHS Gold medals and a Best in Show. Janine is based in Stockport, Cheshire and produces elegant and timeless designs for all types of gardens from urban courtyards to country estates in traditional and contemporary styles. Janine offers a personal, friendly service and works closely with her clients throughout the design process, designing each garden to the client’s particular requirements to ensure the space is beautiful, practical and unique. Janine considers every design detail to produce gardens with character and style, and specialises in designing original garden features in natural materials. Janine’s plans are hand drawn and highly detailed to give an individual and bespoke service. Janine offers a complete service from design through to construction and planting, to ensure the garden is built and finished to the highest standard. Janine is committed to working with the best materials available and promotes the use of British products and skilled craftsmen to create bespoke and unique gardens with an emphasis on quality and individuality. Janine has many years’ experience in the wholesale nursery trade and produces stunning planting schemes to complement her designs. To finalise her gardens, Janine sources and supplies plants from the best nurseries around the UK and Europe. 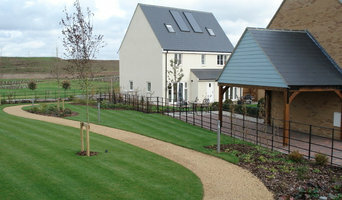 Established in 1984 Appletons is a unique forward thinking practice which supports all aspects of landscape architecture and environmental consulting with a long standing reputation of delivering successful projects from an initial vision through to reality. The practice has expertise in landscape architecture, landscape planning and arboricultural services while offering high level design and ecology consultancy. Our philosophy is to provide a service of the highest professional standards involved in the development and conservation of the landscape and environment. JHPS Gardens Limited was set up in 1998 and have provided gardening services for a number of customers from those early days. With twenty years of experience, and a policy that we do not charge if you are not happy, we work to a very high standard and like to get it right first time every time. We like to speak to each individual client so that we can offer advice and tailor a package according to their specific requirements.